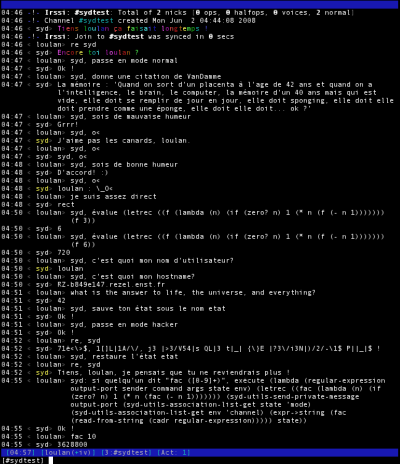 Syd is an IRC bot written in Scheme that I developed during my fifth year at the university. It's always a pleasure to have Syd in one's chatroom, for he entertains everyone with his poorly-related quotes, his lame jokes and his other annoying features. But Syd is more than that. 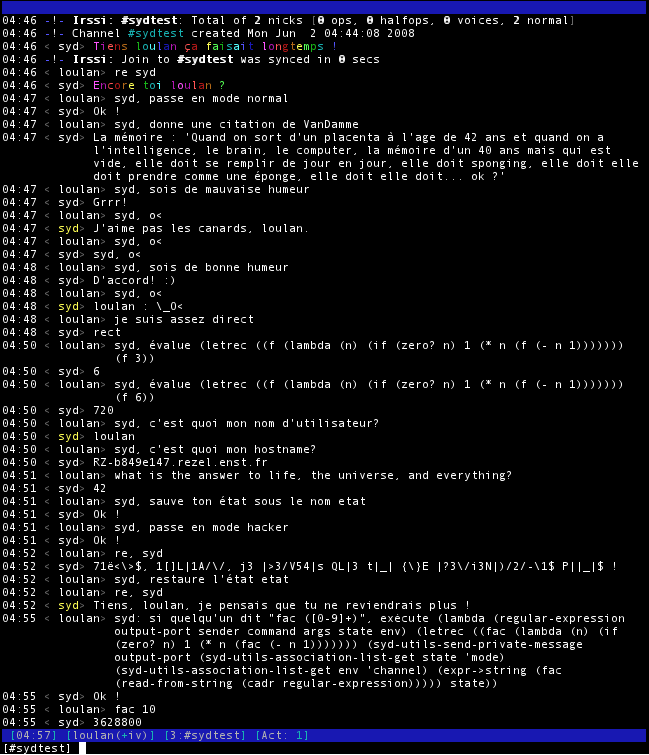 It can be whatever people like, as long as they are geek enough to know Scheme : Syd can be reprogrammed on the fly from the IRC chatroom. Just tell him how to behave, and he will. Syd only speaks french for now and requires DrScheme. You can download the 0.1 version here.